Mindfulness: hippy lessons? Media fad? Miracle cure? Muppetry? Or is there something real and valuable it can offer schools? Let me declare a bias from the start. I’ve been meditating off and on for 25 years, and there’s no doubt in my mind whatsoever; mindfulness has a lot to offer teachers and pupils alike. 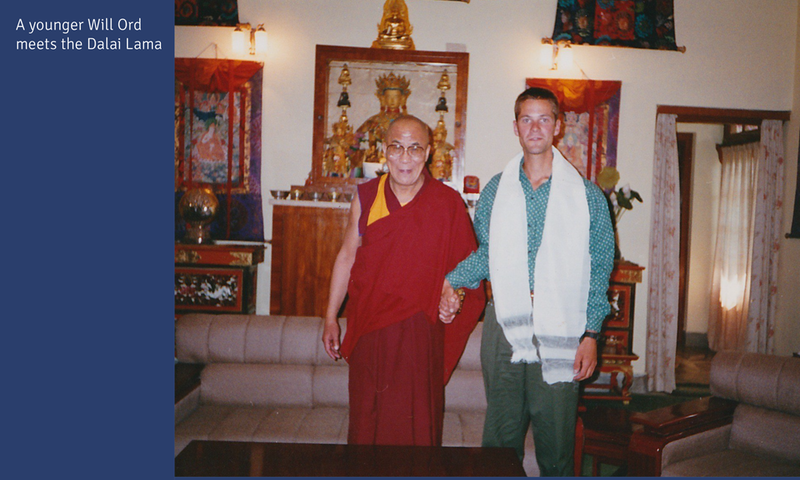 I’ve a Master’s degree in Indian philosophy, attended many retreats (two of them for six months, with six hours of meditation a day), and received many meditation teachings from masters in two major religious traditions. I started teaching pupils the basics of mindfulness as an RE teacher 18 years ago, and to adults in various contexts. It was invaluable as a support during bouts of arthritis in my thirties (now gone). I think you can tell: I don’t need convincing! But personal testimony – for dull cynics as well as healthy sceptics – is hardly grounds for investigating – and investing in – it. So what exactly is mindfulness, why bother, and what’s the evidence base for it? We study many subjects in school. But there’s one glaring and (to me) incredible omission. We never get to learn about the very subject of study itself: our minds. We ignore the actual nature of the ‘me’ or mind that is doing all the learning, all the experiencing, all the feeling, all the thinking. Can you think of a single lesson your pupils are taught on the actual nature of attention and distraction, for example? No? Or how thoughts interact with emotions and actions? Aren’t these things fundamental to education and life? It’s like asking pupils to fly to the moon with no idea how the rocket they’re in actually operates. They are forced to rely on a mysterious autopilot. Some have been conditioned with good autopilots. Some haven’t. But they’re still autopilots. What if pupils could learn how to ‘go manual’ a bit more? Would that change their experience, their learning, their independence? Would that allow them to navigate their lives and education more enjoyably and effectively? Is that really it? Yes. But be warned… It’s easily said! Almost as soon as you start to practise it (with guidance), it becomes very clear that there’s an awful lot more to this ‘simple process’ than meets the mind’s eye. And it’s a fascinating process too. Mindfulness is not religious or spiritual, it’s a purely secular affair. It’s not the same as ‘meditation’, though its pedigree derives from meditation in the Hindu and Buddhist traditions. It’s not therapy, it’s not yoga, visualisation or ‘back door Buddhism’. It’s not ‘anti thinking’, and its purpose is not to ‘clear your mind of all thoughts’ (a very common misconception). It aims to train the mind to be aware of the present moment – of whatever’s actually experienced here and now – rather than be caught up in thinking about the past, the future, or things that are not being directly experienced. So how can this ‘being present’ help and where’s the evidence? By practising mindfulness, we investigate the balance (or lack of it) that we have between thinking–doing mode and being–sensing mode. Neither mode is right or better, but both are needed for a full and healthy life. Mindfulness allows us to have more control over the balance between thinking and being and helps us to prevent the costs of imbalance: stress, distraction, feeling overwhelmed, caught in unhelpful habits etc. “The mind makes a wonderful servant but a terrible master,” as the Taoist saying goes. Given that our pupils live in an increasingly frenetic and interactive world — one filled with ‘Weapons of Mass Distraction’?! — perhaps we should be helping them to understand, manage and enjoy their minds a bit more? Perhaps we could do with more of those skills, too, as teachers? Mindfulness research in the UK education context is still in its infancy. If you want robust research (randomised and with control groups involving statistically significant numbers etc.) that proves it ‘increases GCSE or SATs achievement by X%’, you won’t find it yet. However, ten minutes on the web will show that there are (over 400) research papers written in the past few decades that indicate that mindfulness can have a very significant effect on the mental, emotional and physical health of all people; school staff, parents and pupils alike. NICE (the National Institute for Health and Care Excellence) has endorsed it as a treatment, neuroscientists have mapped the physical changes it encourages in the brain, and research results in US schools show that it is a welcomed and effective way of enhancing resilience, reducing stress and increasing well-being among students. UK schools are starting to introduce it, and initial indications are very positive. So is it worth a shot? Yes. Perhaps ten years from now we’ll be astonished by the fact we didn’t think of it earlier. But by increments conquer! Grow it slowly with small trials, quality training, short inputs, and have a long-term vision for it. Importantly, if schools are to take mindfulness seriously, you need mindfulness practitioners to teach it. Who, after all, would want driving lessons from a non-driver? It doesn’t take long to do an introductory course (once a week for eight weeks), but it’s essential if your school is serious about developing it well. That said, you need to start somewhere! Image ©2014 Will Ord. Used with kind permission. Will is an outstanding trainer with a worldwide reputation for excellence. He specialises in thinking skills and philosophy for children. His bank of experience and unique blend of charm and rigour will equip you with skills to lead your schools to deeper levels of engagement. This is his second article written exclusively for Staffroom Magazine. Does mindfulness matter? Join Will Ord on this one-day course to know when and where Mindfulness develops, the key implementation points in your school and take a toolkit for teaching Mindfulness back to your school.